"Talking as a former player I am sure the current playing staff at the club would welcome some clarity on Solskjaer's status at the club. It is tiring to have so much change in the managerial position. A club needs that stability at the top. For a team that did not change manager for 25 years to have so much churn in such an important role suggests they don't know what they're doing." Let's be honest, it wasn't the best Champions League draw for both Spurs and Manchester United. In Manchester City and Barcelona they will face two of the most fancied teams to win the competition and the odds show that Manchester City and Barcelona are clear favourites to go through those ties. But I haven't given up on an upset. At this stage of the competition, given the sides that are left, no matter of the form a team is in or its reputation, anything can happen. Just look at the last 16 for a perfect example - Ajax knocking out Real Madrid. We can't write United off. I don't even need to mention the PSG game here do I?! I saw Lionel Messi score that hattrick against Betis. Wow! The guy just does whatever he wants to do, but he doesn't do it in every game, and Barcelona have not won every Champions League in the last decade despite having Messi there. United must play as a team and support each other. 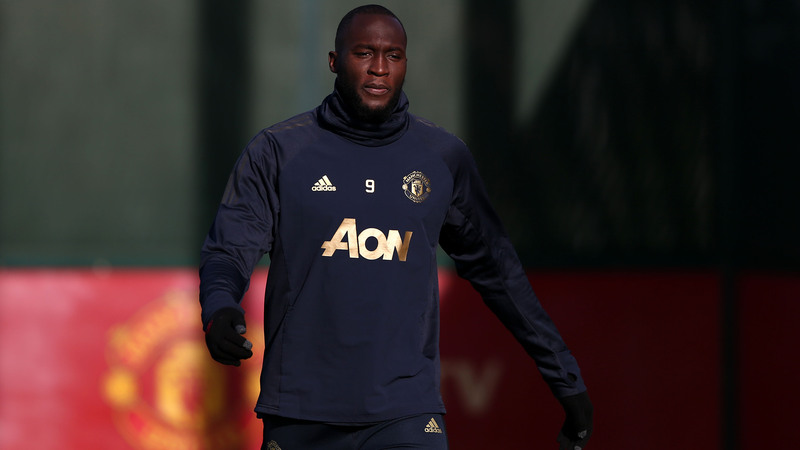 It's the system that allows Marcus Rashford, Paul Pogba and, latterly, Romelu Lukaku to shine. Those guys catch the eye but there are key men everywhere and some that have impressed me recently include David de Gea, and the young boy Andreas Perreira. Ole Gunnar Solskjaer has kept up the tradition of blooding the young talent at Old Trafford and the body language of those boys on the pitch is great to see, you can see the confidence. They have been given their chance and they have not disappointed. 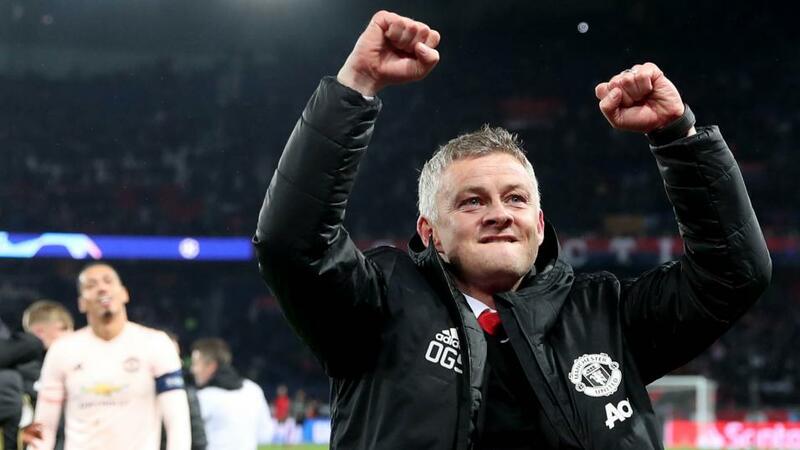 After that unbelievable win in Paris, United have suffered a couple of defeats and Solskjaer will have welcomed the break this week. It gives time to pick up the players, and get everything lined up to kick on through the final months of the season. Talking as a former player I am sure the current playing staff at the club would welcome some clarity on Solskjaer's status at the club. It is tiring to have so much change in the managerial position. A club needs that stability at the top. For a team that did not change manager for 25 years to have so much churn in such an important role suggests they don't know what they're doing. With all the work he has done I don't think it would be fair to him or the players if they don't announce that he is going to stay in charge. Ole was able to raise the spirit, the team, everything at the club. He was the guy who took responsibility in a difficult situation. Purely on what he achieved so far he deserves an extension. He has earned it. He is young for a manager, an ex-United player - it's the best combination for the club to build for the future. Paul Pogba is rarely too far away from the headlines but I'm not concerned about his Real Madrid quotes this week. I supported lots of other teams when I played for United because I was a fan of good football. I admired clubs like Real Madrid, Juventus, Bayern Munich. I don't think there is anything to worry about here. We live in a world where you can say what you want and I can imagine the words being taken out of context. 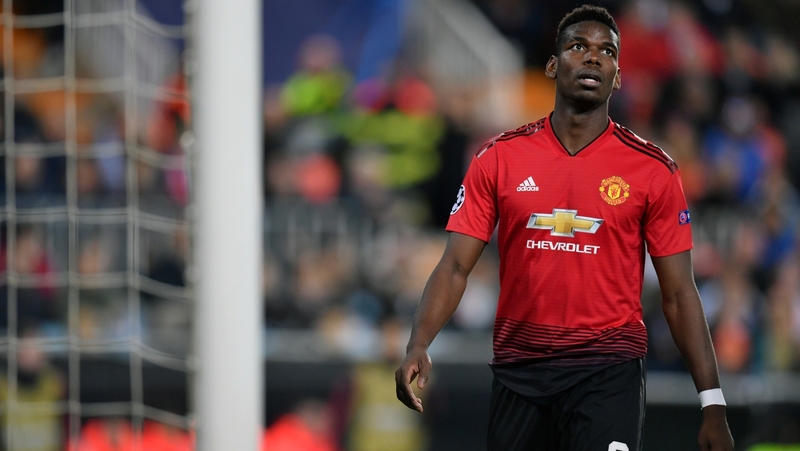 Paul will be a United player for a long time, as long as he and the club want to be together. I remember Paul coming to play with the first team, training with us. He was just enjoying being in Manchester and was good friends with the first team and when you're happy you're settled. He caused a stir in training straightaway. He was tall, athletic, would get the ball from me, intercept it and get on my nerves. I knew I had to take this guy seriously because he had something. You could see from the beginning that he had technical ability, vision of the game, where to position himself and now you can see the result - he is one of the best in the world. It's always a strange thing when two teams from the same league meet. The only difference between Spurs v City and a standard Premier League game will be the Champions League anthem before the game begins. These teams know each other so well, they know who are the strong players and who are the weak links. Cutting out the mistakes is going to be key as they are operating at such a high level. It's going to be tough for both teams. City's primary objective is to win the Champions League but they are still going for the Premier League title as well as both domestic cup so there's lots to lose here. Spurs have stumbled badly lately, taking one point from four Premier League games, and that's a concern. They have put so much pressure on themselves thanks to that bad run. The last defeat - losing when leading at Southampton was bad - you just don't let that happen if you want to be up among the best in the Premier League. I expect them to cling on in the top four fight but it's going to be very tough. Ultimately, the club will probably place more importance on maintaining their top four placing in the top-flight as it's essential they are in that competition next season given how expensive the new ground has been. But they aren't going to play a weaker team in the Champions League. Imagine Mauricio Pochettino saying to one of his top players 'I am going to rest you against City'. That player will go f***ing crazy! You want to hear that anthem and play that game. Talking about the new ground I am really looking forward to lining up on the new pitch when the Legends of Spurs play Inter Milan on Saturday March 30 in a warm-up event. It's the sort of thing that gets you excited again - stepping out on that pitch will be incredible. I'll be rolling back the years, playing alongside Robbie Keane and others in the Lilywhite shirt. I can't wait to see the stadium, the fans, everything! Let me tell you I've been training hard and dieting well in preparation for this! England are the favourites in the group, no doubt, and they will qualify as the top team. Everybody in the group knows that and we're all fighting for second place behind the Three Lions. Football-wise, Bulgaria cannot compare ourselves to England, but we have a young squad and they really support each other and play for each other and the country. As long as they are not afraid to go out and play football then they have a chance. There's no superstar like in previous eras - think of Hristo Stoichkov, and my era with me and the two Petrovs - but one man to watch is Kiril Despodov who plays in Serie A for Cagliari. He is full of talent, very dangerous and quick. He can definitely cause some damage. I am always looking for some sort of upset and if we can get a point from our trip to Wembley that will feel like a win for us. Play Betfair's Football Jackpots and you could win £1m!